Did you know that many moms and families are small businesses? Many of us know about supporting small or local businesses. But, how and where do you find these companies? The web is a vast space and you could search a long time. 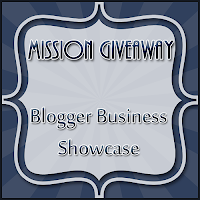 This week Mission Giveaway wants to show you some blogger small businesses that might have the perfect item that your family needs. Flourish is all about moms benefiting and growing together. The products are all mom-invented and sold by other moms. "Part of the reason I decided to join Flourish, was my desire to make sure other moms out there had products that worked well to suit their needs. I cannot tell you how many gimmicky products we have tried over the years that have just been wasted time and money! As a mom, I know products invented by other moms are the ones we can really use in our everyday lives, and joining Flourish was an easy choice for me!" UsborneAlaska - "Usborne and Kane Miller books are the most exciting, engaging, and educational books and activities on the market today. They are high quality, innovative, lavishly-illustrated and best of all they are the books kids love to read. Choose from almost 2000 bright colorful and fun titles covering a wide variety of subjects. We have fabulous sales available online! Check us out." Coupons with Q Etsy Shop - The Coupons with Q Etsy shop is packed with great printables to help organize, and simplify your life. Each printable is filled with beautiful colors to make them not only useful, but pleasing to your eyes! There are sheets for every need: household, scheduling, couponing, Bible study, budgeting, and more! 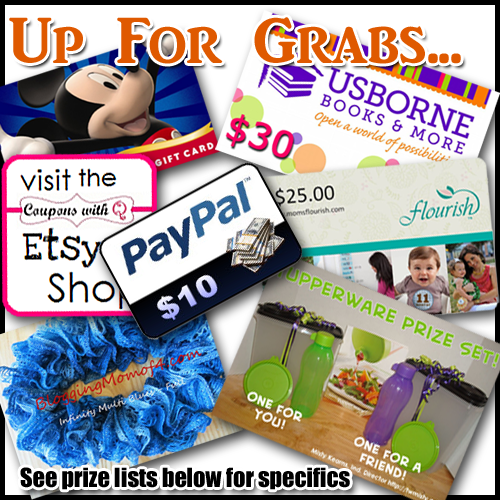 Get yourself on track and organized with ease in 2013 with the Coupons with Q Etsy Shop! The Magic For Less Travel - "Naomi is an Independent Travel Consultant affiliated with The Magic For Less Travel. Sometimes planning a vacation to a Disney park can be overwhelming, but that is where Naomi comes in. She will help you plan your next magical vacation! Here are some of the benefits of booking your next Disney vacation through Naomi: 1) She will save you time by making your dining and recreation arrangements for you. 2) She will prepare a personalized itinerary with your resort, dining, and recreation reservations on it, as well as, park hours. 3) She will keep an eye out for discounts and apply them to your reservation IF applicable to your reservation. 4) She will share tips and strategies with you to help you make the most of your vacation. Best of all? These services are FREE of charge! No additional charges for booking with her." Tupperware - Misty Kearns, Ind. Director - Tupperware is celebrating 65 years of being the most trusted kitchen brand offering products that save time, taste, waste, money and space. Tupperware also continues to make a difference in the lives of women around the world with the opportunity to begin your own business for only $30. From a fun girl's night in, cooking classes, kitchen organization workshops, catalog and online parties, bridal showers, fundraisers, one on one kitchen customization sessions as well as the ability to shop online, you'll be amazed at what all you find in Tupperware now! Body By Vi Consultant Bianca Mcneace - Visalus is a quickly growing company that is helping millions of people to achieve their health, weight loss, fitness, and financial goals. Imagine changing your life in just 90 days. With the Body by Vi™ Challenge, you can! The #1 weight-loss and fitness Challenge platform in North America—it's simple, rewarding, fun and fits into any lifestyle. We call it the “shake mix that tastes like a cake mix!! Answers2Homework - Answers2Homework is the place where parents can come to get the answers they need. We offer tips and tricks to empower you to provide the help your child needs to be successful in school. Blogging Mom of 4 Etsy Shop - The Blogging Mom of 4 Etsy Shop is brand new. We just started with new handmade scarves, hats, ear warmers and we'll continue to add more as we can. Plus, there are PDF printables of Homeschooling tools, grocery shopping lists, Bill Payment Checklists and more to come! 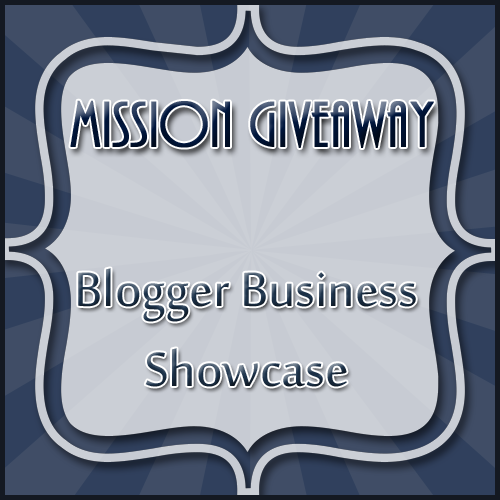 Thank you for joining us for our Blogger Business Showcase. Your support of these businesses means support for Mission Giveaway. We appreciate the support of our blogger network as well as their readers. The Giveaway will open up on Tuesday 1/15 12:01 am EST and Close on Friday 1/18 at 11:59 pm EST. love the small business aspect of this giveaway. thanks for sharing! I think it's great to showcase the small businesses too. Something different and fun. 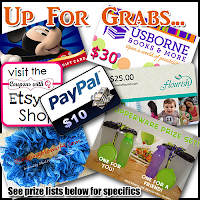 This is a super fun giveaway...thanks!! This is a great idea! 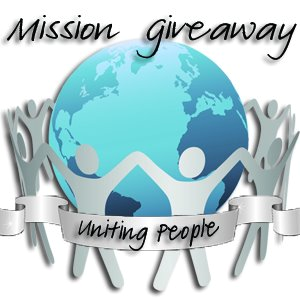 What a fun Mission Giveaway!